Always watch your baby or toddler on stairs! In addition to slipping or falling, she may make a wrong move and hit her head on the step directly above. Babies can climb the stairs by crawling on hands and knees. As they get older, they will learn to put their feet on the steps, instead. In the meantime, help guide your child if need be. 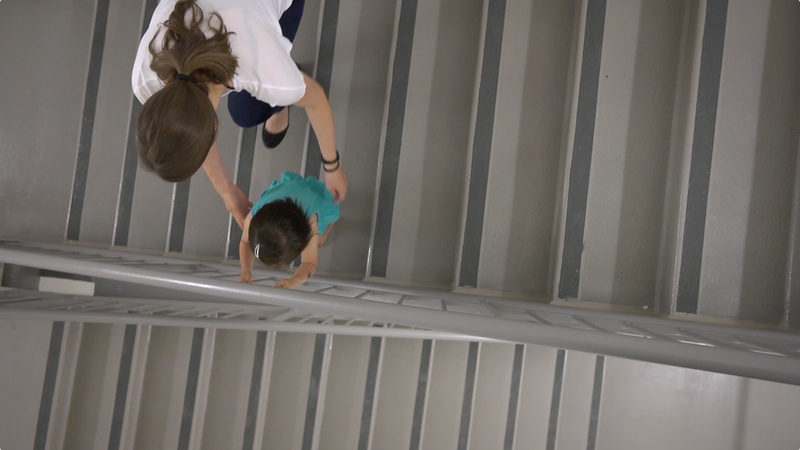 Once toddlers are better able to keep their balance, they are on their way to learning to walk up the stairs. 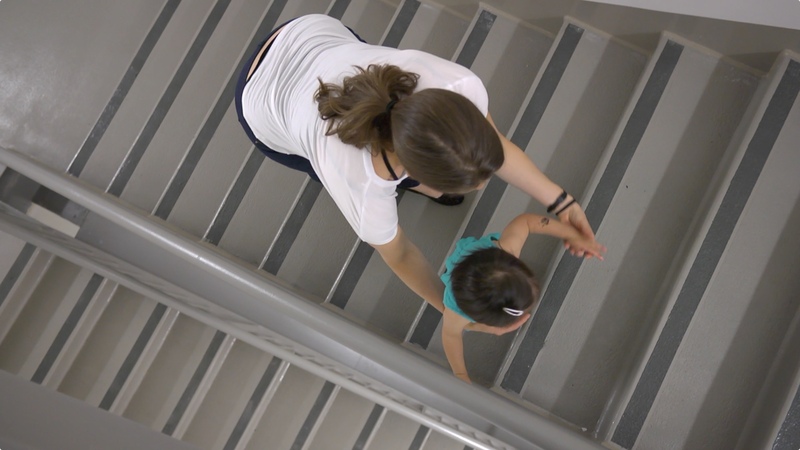 See if your child would like to put her foot on the next step instead of her knee, and then the other, using her hands on the steps for support. Start the activity alternatively with the left or right leg so that your child has no trouble going down with either. Make the exercise gradually more challenging by increasing the number of steps to go down. Place a toy at the bottom of the stairs to entice the child to go down. Spot your child in this way to make sure she’s safe and help her if need be. Stay behind the child for safety and balance, as shown, as she goes up the stairs. Stay in front of your child, as shown, as she goes down the stairs. In this way, you’re there to hold her hand and keep her steady. To encourage your toddler to use alternating feet, hold the lower leg and start the movement. You can also talk to the child and remind him to use the other foot.